Every year, come late July, those three little words start popping up everywhere…”Back to School.” I start seeing bright yellow pencils, single-subject notebooks, and snowy white bottles of glue lined up neatly on store shelves. I also start seeing parents eyeing eco-friendly lunchboxes, water bottles, and backpacks. 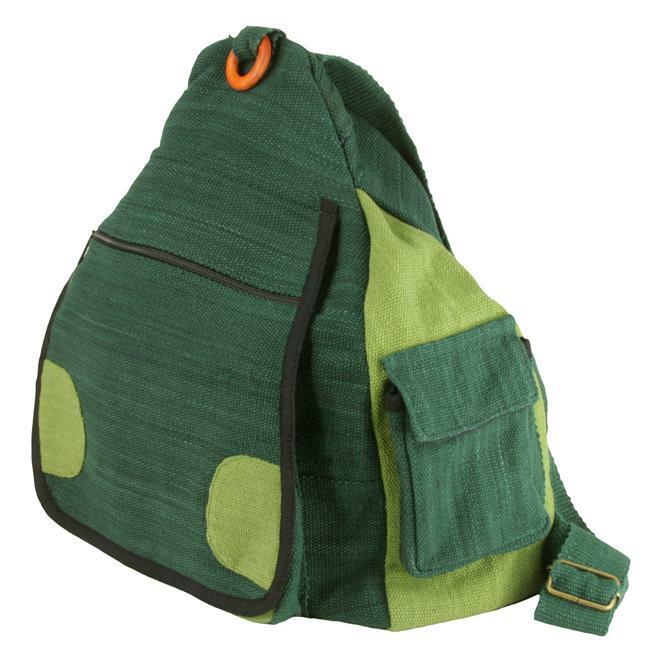 The backpacks we make here at Earth Divas are a great choice for your kids because they’re eco-friendly. Many are made from recycled material. And, they’re 100% fair trade. The artisans who make our bags are paid fairly for their work, and we also send 100% of the profits from Earth Divas back to them at the end of the year. I wanted to highlight some of our backpacks for you to consider sending your kids to school with this year! 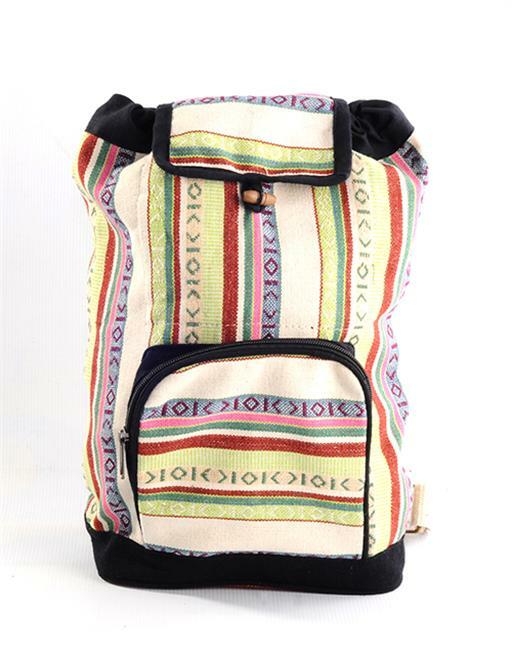 Our Small Aztec Backpack is one of my favorites because it’s lightweight, bright, and colorful. It’s also matches perfectly with the Southwest/Native American style that’s so trendy right now. 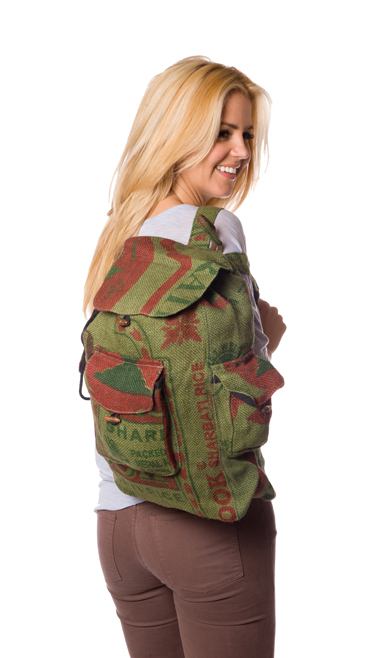 Our Recycled Rice Bag Backpacks are one of our best-sellers, and with good reason. They’re incredibly sturdy, and they look really cool because they’re made of, you guessed it, recycled rice bags. 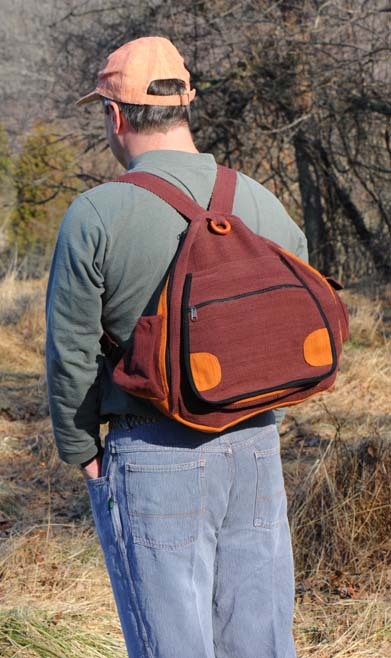 I carry one of these backpacks myself, and I love it. 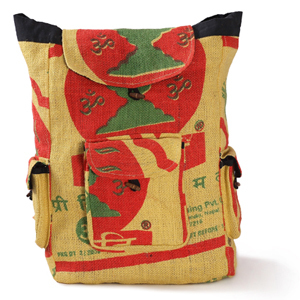 Our Recycled Rice Backpacks also come in several other colors. 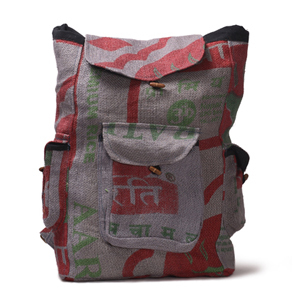 We also have a super cool Recycled Rice Bag Duffle Bag. Here’s what it looks like. 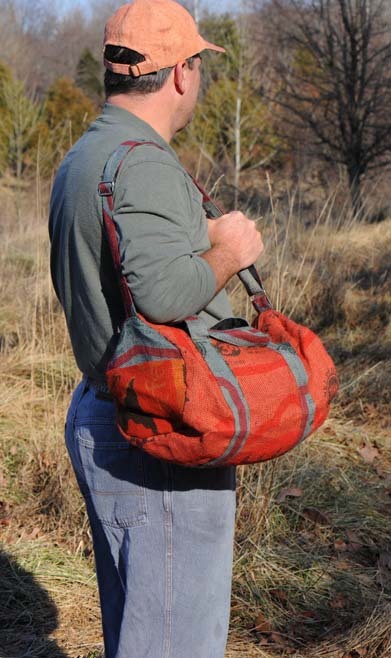 And yep, that’s our owner Ed modeling the new bag! Our Triangle Backpack has such a cool shape! It’s actually a lot larger than it looks. You can see this cool bag, in orange, on Ed below.